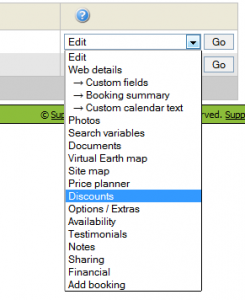 To help you use SuperControl to it’s fullest to maximise your bookings, here’s a quick guide to tactical pricing, specifically Discounts and how to set them up. 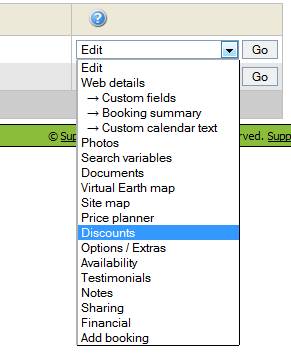 Go to Properties > Edit and next to your property select Discounts from the Edit drop-down menu. Then click Go. In this page you will see all of the different discounts that are available. 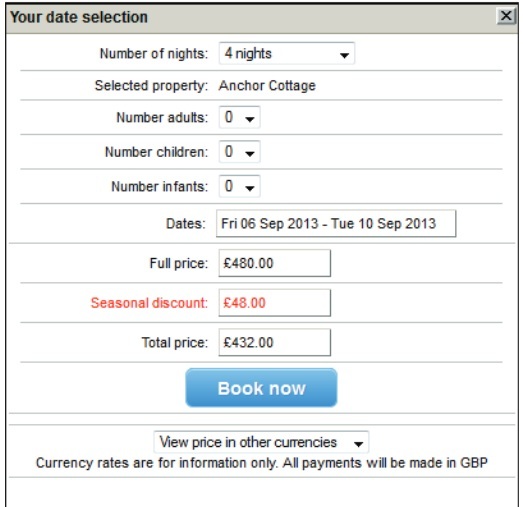 They are: Late Availability, Multiple Week, Low Occupancy, Seasonal, X for the price of Y and an Early Booking discount. You don’t need to set up all of these discounts, just pick and choose which ones may work best for you. In the next blog in this series we will show you how to set up special offers.